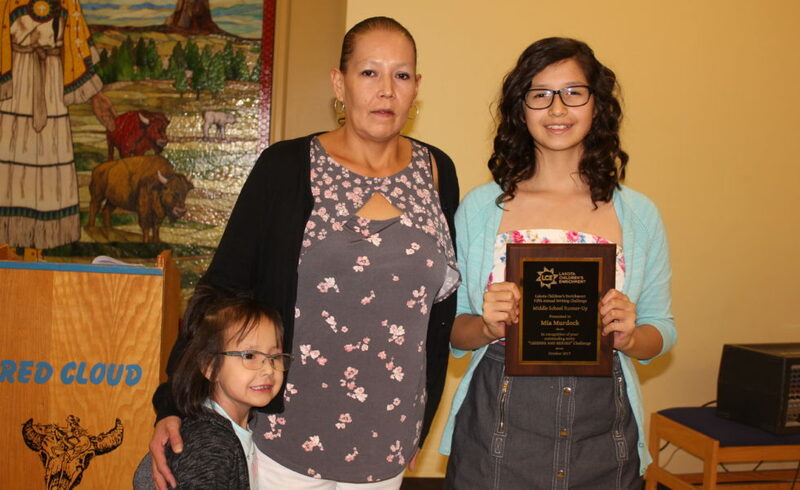 This October, LCE honored our long-awaited winners of the 2016-2017 Writing and Art Challenge: Legends and Heroes with two banquet ceremonies where we celebrated the students, their families, and their friends. 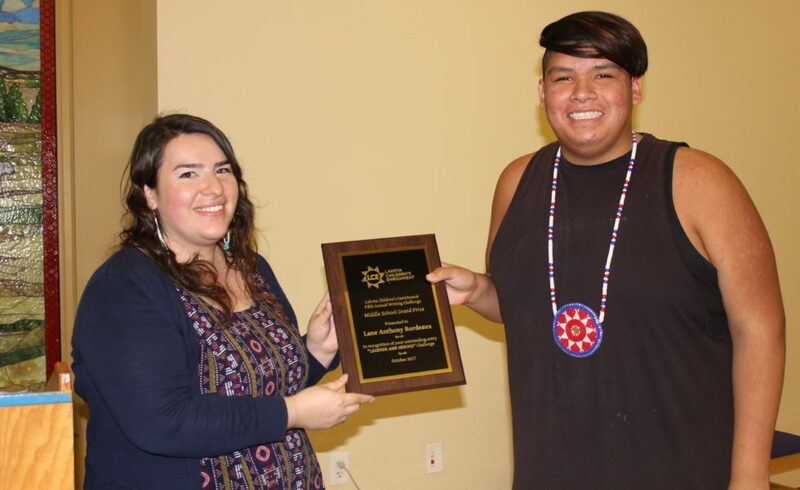 The students were honored with their awards, custom plaques, and a healthy dinner. 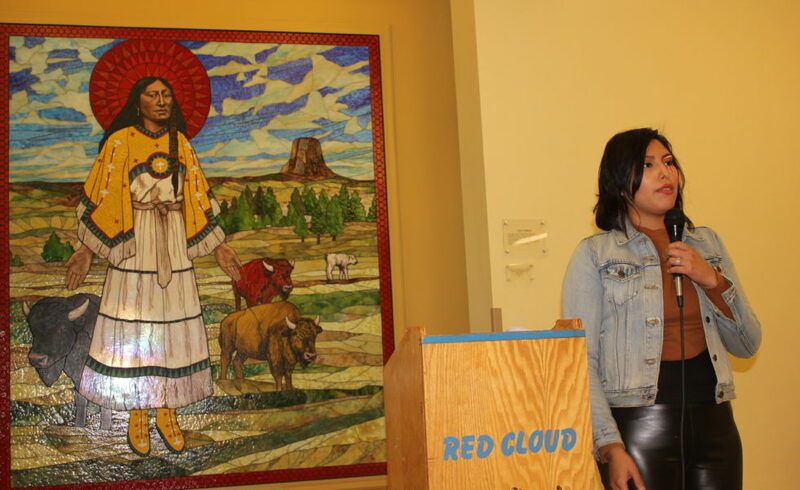 One award ceremony took place at Red Cloud Indian School to accommodate families who live on the South side of the reservation, and the other ceremony took place at the Cloud Horse Art Institute, to accommodate families who live on the North side of the reservation. 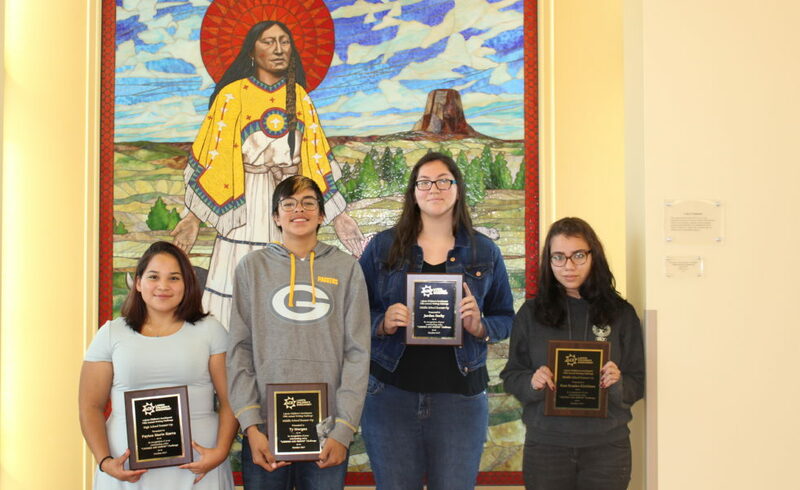 Communications Coordinator, Willi White accepted a $1,000 grant for writing and art supplies on behalf Red Cloud Indian School for Lane Anthony Bordeaux’s grand prize win in the middle school category. 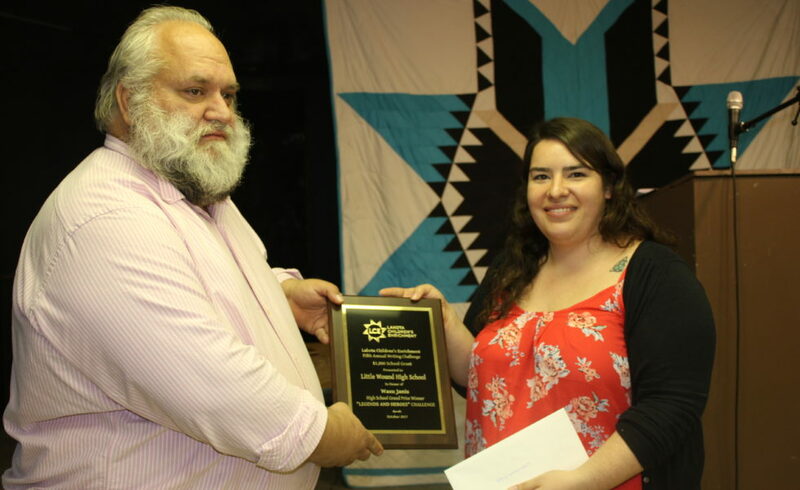 Dan Snethan, science, poetry, and acting club teacher also accepted a $1,000 grant on behalf of Little Wound High School for Wasu Janis’ grand prize win in the high school category. 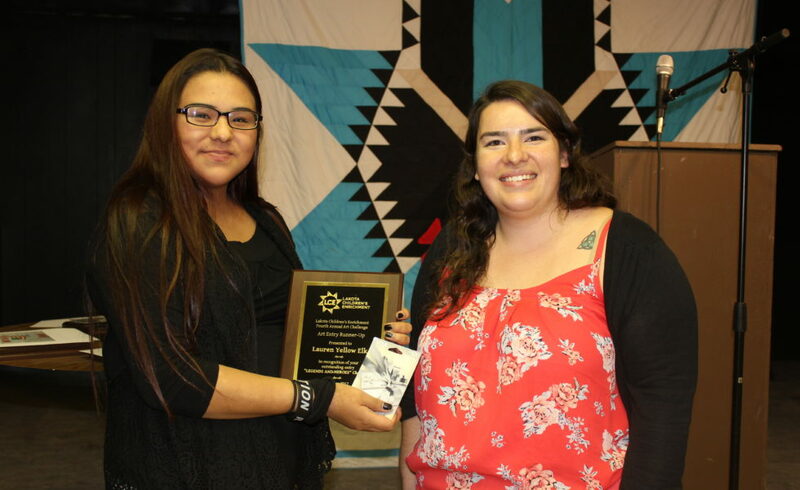 Advisory Board members and Local Pine Ridge band, Scatter Their Own: Juliana Brown Eyes-Clifford and Scotti Clifford performed at the award ceremony. 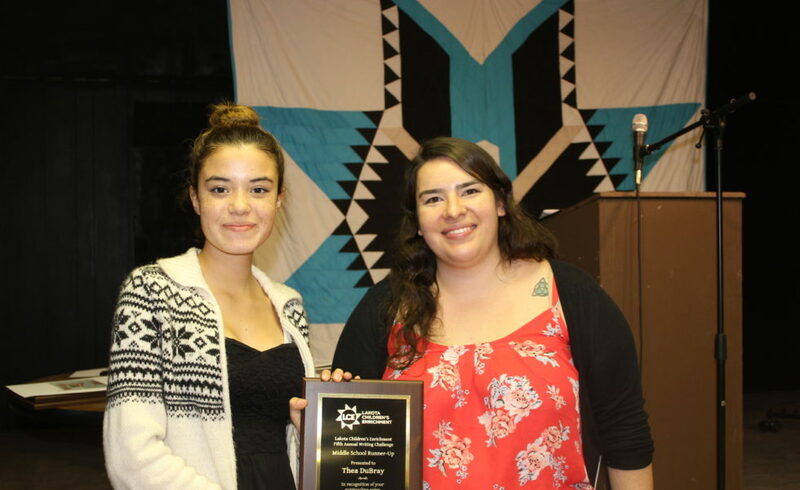 Juliana who was an art judge for this year, and the 2015 grand prize winner of the #WeAreHere art challenge gave an inspiring speech to the students on the power of art and encouraged students to keep writing, creating, and expressing themselves. 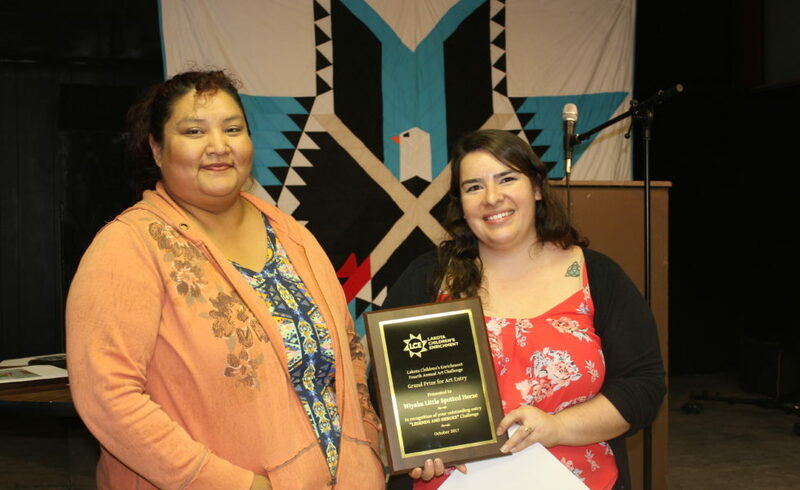 This was the first year that we chose to award the winners of the writing and art challenge through a banquet style award ceremony. 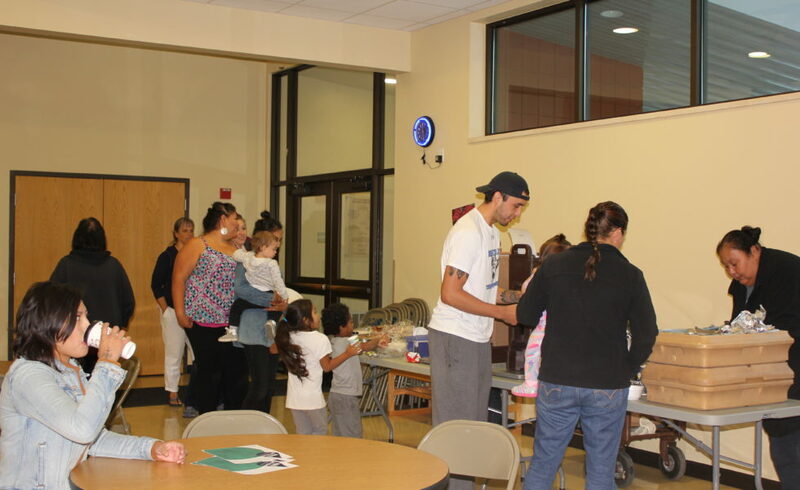 Many parents thought this was a great way to celebrate the youth and hear their work. In the past we celebrated our winners through a school-wide assembly. This was a wonderful way to celebrate the students, however, because the ceremony took place during the school day, parents were not able to attend. For the Legends and Heroes theme, many students wrote about their family members, so we thought they should be invited to also be celebrated for being Legends and Heroes to the students! Each award ceremony ended with an open mic for students to share their work with the group and they got a huge applause! 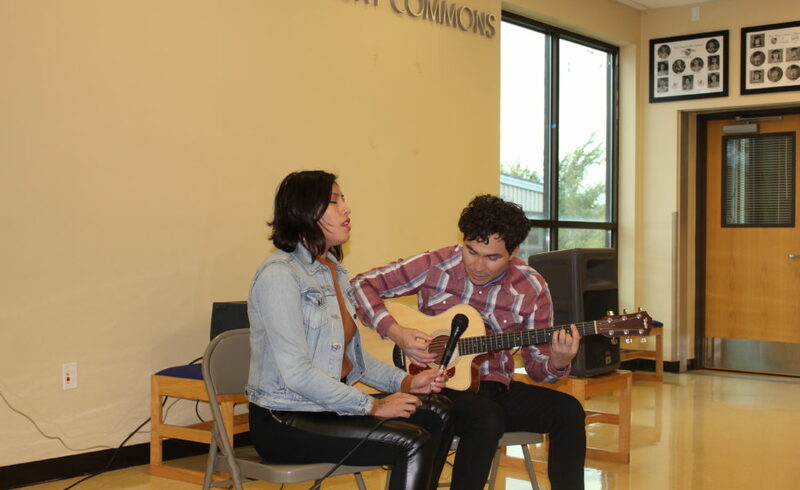 Check out these photos of Lane Anthony Bordeaux and Thea Dubray reading their pieces for the group! I got involved with LCE as a participant in the Voices of The Land challenge. This challenge pushed me to share my spokenword piece with my community and I felt incredibly honored when I won the grand prize award in 2014. 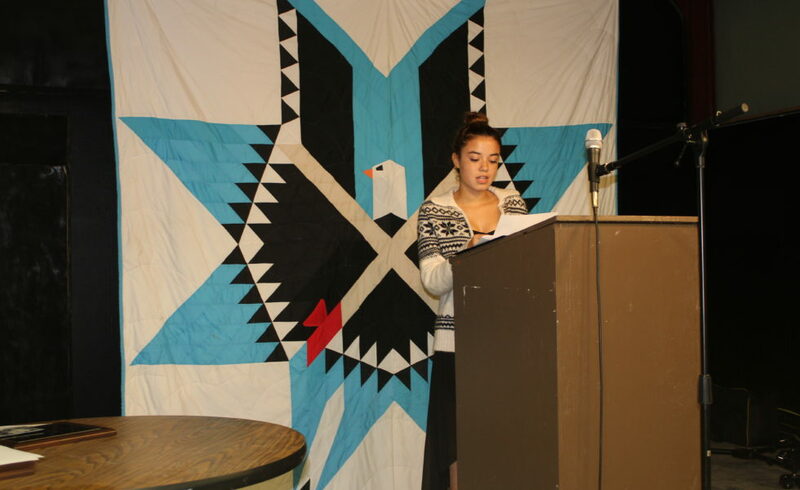 Through writing and art, Lakota students can express themselves and share their stories with the world. 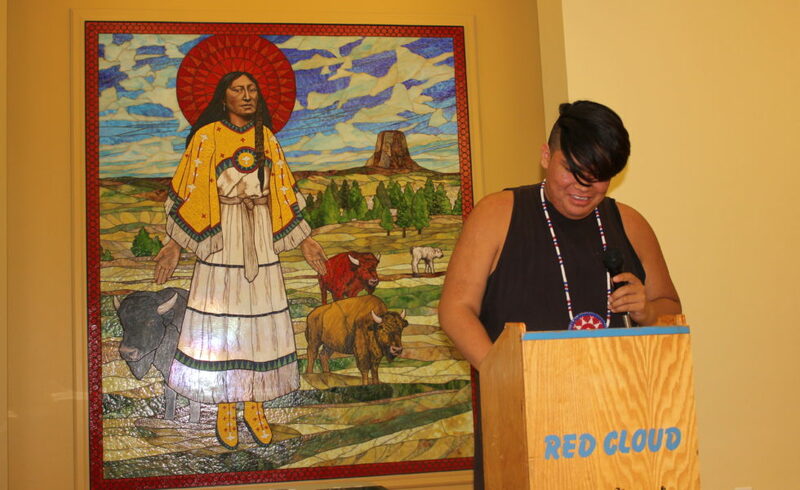 As a Lakota person, our history and our stories often feel invisible to wider society, however, I believe this challenge works to amplify the stories of Lakota youth to be shared with our allies who invest in the future leaders of the Oglala Lakota Nation. Next year, our writing challenge is Mní Wičhóni, meaning Water is Life. 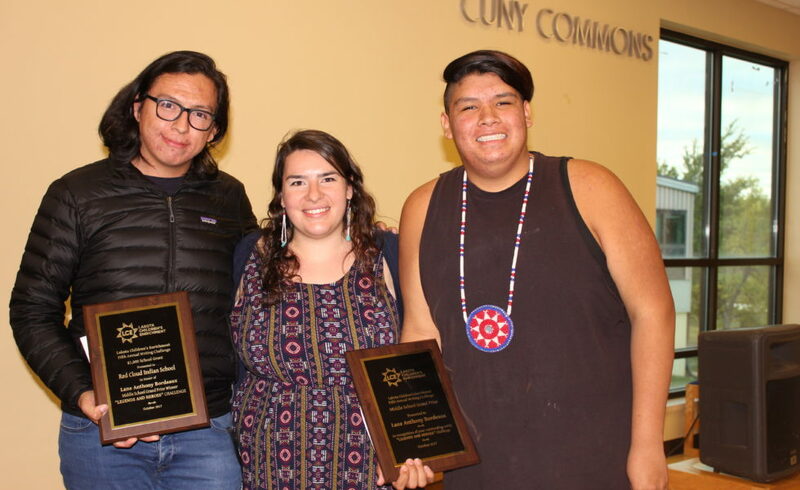 We are encouraging Lakota youth to share their stories on how they protect water and their reflections from the movement at Standing Rock that shook the world. Stay in touch with us for more information on next year’s challenge and please consider supporting our efforts. ← Celebrating Summer Internship Success!